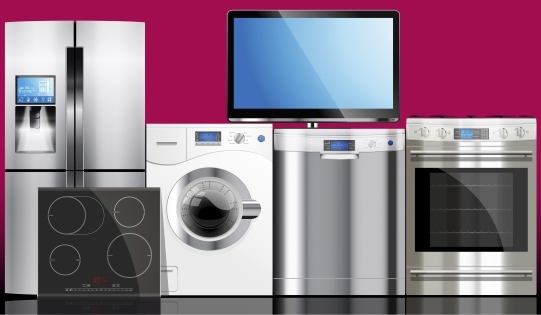 Are Energy-Efficient Appliances Worth the Added Investment? Although many have the intention of going green and upgrading to energy-efficient appliances in their Annapolis, Maryland home, the initial cost can be overwhelming. There is no doubt, however, that energy-efficient appliances are worth the added investment because there are many ways in which you will realize returns and reap rewards from that investment over time. There is no question you will save money on your monthly energy bills if you buy energy-efficient appliances for your home. What gives some people pause is the additional cost of energy-efficient appliances over those that are less efficient. While you may experience sticker shock at first, you have to consider the 20 to 30 percent savings you will see on your monthly energy bill. That savings can be major especially if you are upgrading your HVAC system, water heater, or washer and dryer. You have to think about the added savings over time to understand why the added cost is worth it. If you are upgrading or buying appliances for a new home, you can claim up to 30 percent of your costs for solar energy systems, small residential wind turbines, and geothermal heat pumps. If you want to take advantage of tax credits and rebates on appliances, be sure to check expiration dates. If you plan on selling your home in the next few years, you can also add an increase in the resale value to the savings you will see with energy-efficient upgrades. Homes that have energy-efficient upgrades tend to sell faster and for more money than their counterparts. If you ever plan on selling your home, that is certainly something to consider.